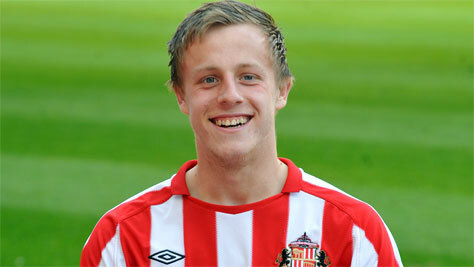 Jordan Laidler grabbed Sunderland’s first. Sunderland under 21s emulated their senior side’s weekend success as they beat Newcastle United 2-0. The Black Cats moved within four points of Fulham at the top of the league as second-half goals from Jordan Laidler and Martin Smith gave Kevin Ball’s side a vital derby win. Laidler netted from the spot after Connor Oliver was fouled and Smith grabbed his goal on his Stadium of Light debut when he raced on to Lynden Gooch’s through ball. Warren Joyce celebrated three points on his 100th match in charge of Manchester United as Davide Petrucci’s free-kick earned them a win against Leicester City. Craig Tanner and Jack Stacey netted the goals as Reading upset Aston Villa away from home. The three points puts them just two behind Wolverhampton Wanderers and Newcastle United in 19th and 20th respectively. Blackburn Rovers remain bottom.